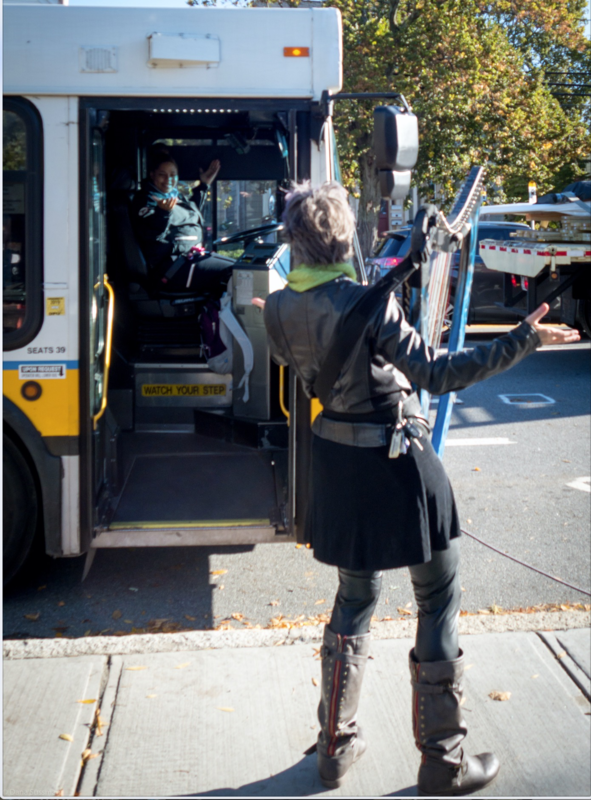 I was talking to a friend early this morning and when I said I had to leave because I was going to play at the new art-installation-bus-shelter celebration — he asked me: why would someone who’s played in big theaters in front of thousands of people want to play in a bus kiosk? I couldn’t give him an articulate answer. I just really wanted to. Well, 5 hours later. I know the answer. 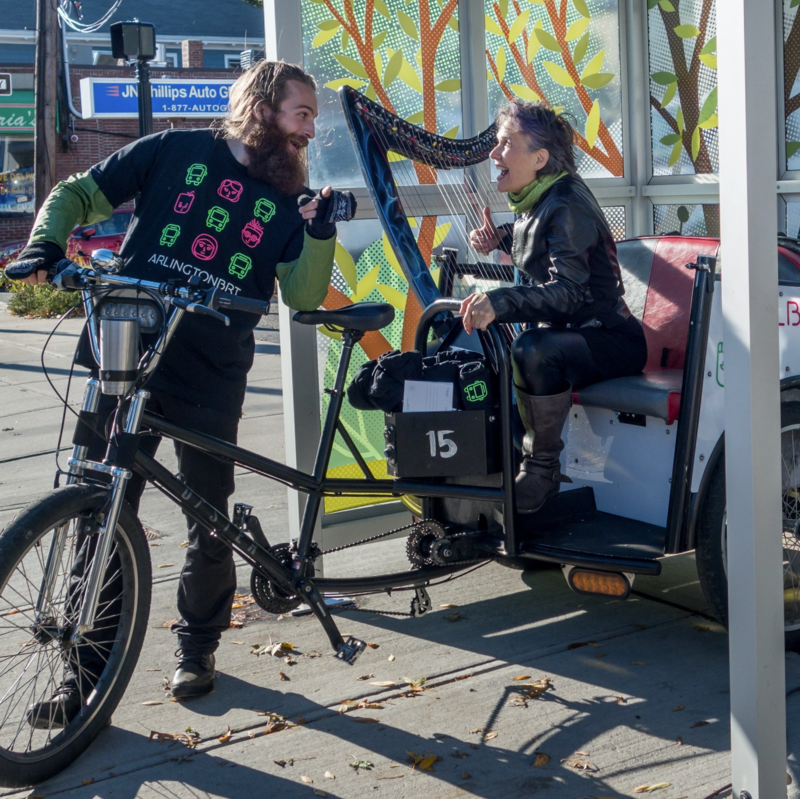 Hundreds of answers, in every one of the smiles and waves I got from drivers, pedestrians, policemen, bike riders, bus riders, neighbors, strangers – and even dogs. Each one, reason enough for all the years of collaborating on the developing this instrument, practicing ’til my fingers blistered, and inventing the harness that let’s me wear like it’s part of my body. 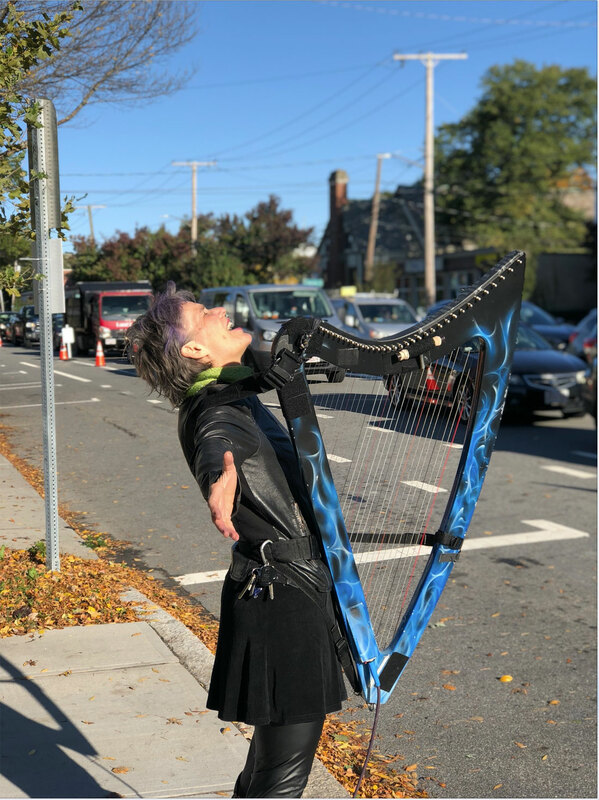 20 years ago I only dreamed a harp could be both this portable and have this kind of volume – and yes, I could be heard above the traffic. 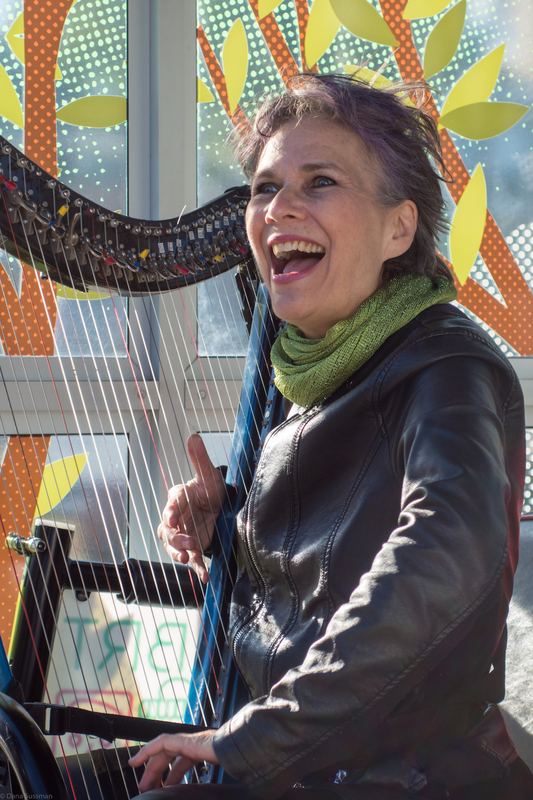 I tell the story of how this harp came to be and my collaboration with CAMAC Harp Company in my 2018 TEDx Talk. 3 weeks ago, I wouldn’t have been able to power my amp, but cycle-enthusiast Dave Enos set me up with a portable battery 3 weeks ago when he and I rode the 12-mile Minute-man bike-path on the #HarpBike. Read about that HERE. This morning I had a niggling thought, tickling my brain. It really had to do with how my friend asked the question about why I was doing this. I wondered if maybe it was an exercise in undervaluing myself as a performer. 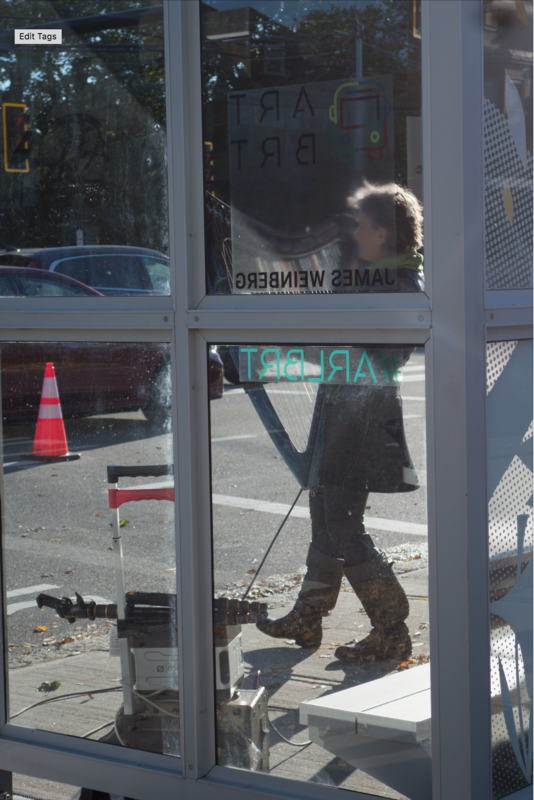 What I discovered was that what I’d undervalued was the bus shelter — as a place of joyous creative connection. How about you? What was the last place you didn’t expect to experience art … and were? 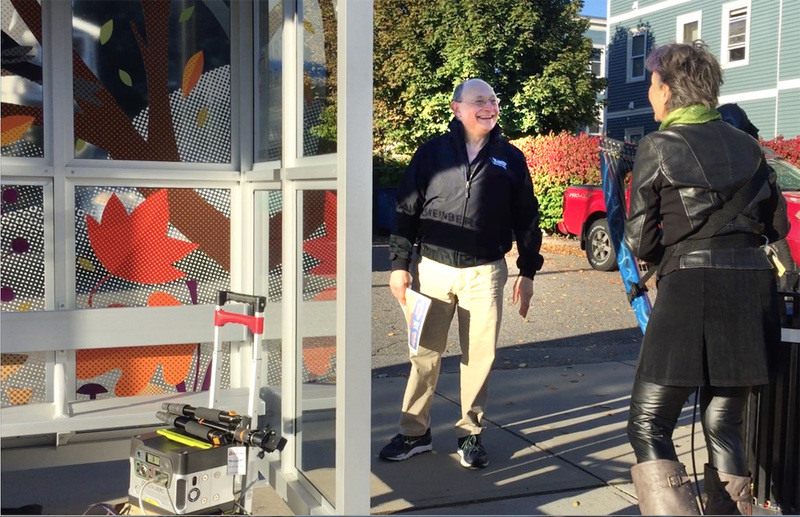 Special thanks to Renee Wilson & Dana Sussman for meeting me at the bus shelter and taking photos and videos, and to Renee for coming to my house early, picking me up and getting me there. 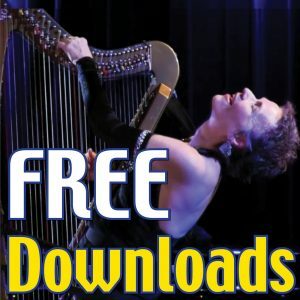 As we walked back to the car, I shot this video of Renee carrying the harp. Thanks so much for your comment Kathleen and Jon!! What amazing fun! Thank you so much for sharing all of this joy with us! P.S. I can’t wait to see the video from the #HarpBike ride in Oct 2018.